This post is sponsored by HERO fruit spread. As always, the opinions and content are my own. Calling all fruit spread fanatics! 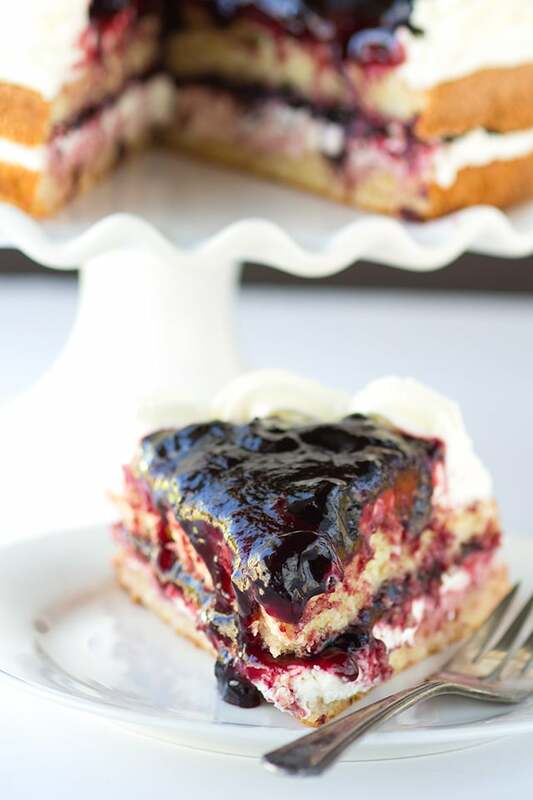 I’ve got grandma’s cherry torte fully loaded with black cherry spread and whipped cream. Even though I’ve made hundreds of recipes for the blog, this is my first torte. 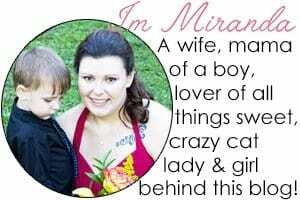 It’s a doozy too! 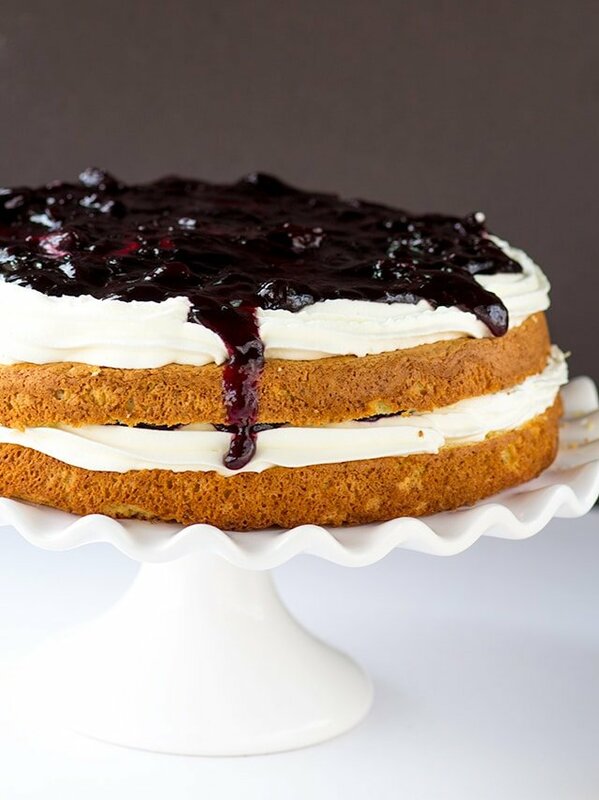 The cake has a nice flavor from graham crackers and almond flour. 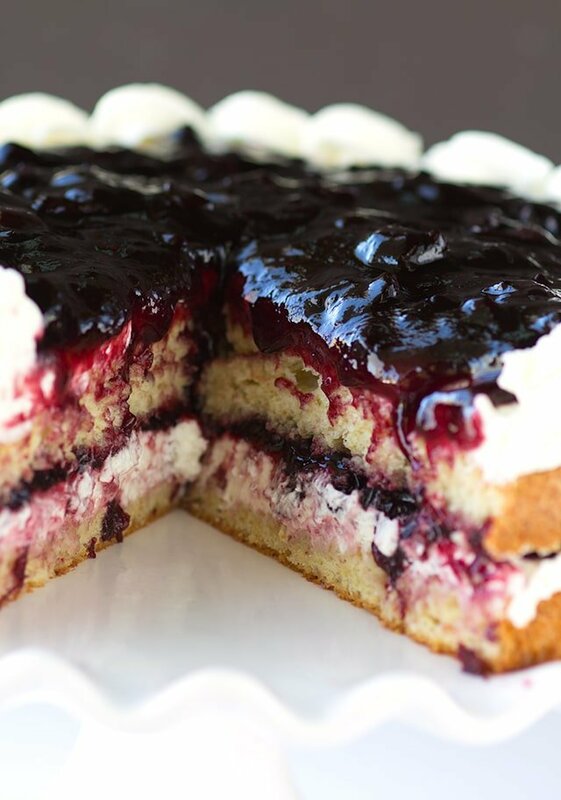 The black cherry fruit spread and whipped cream pull this all together and makes it killer. This would make a nice little dessert for holiday guests! 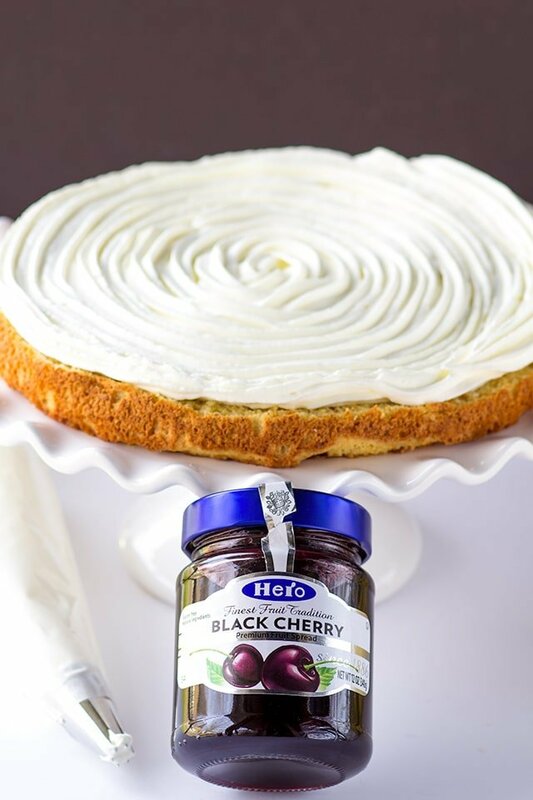 If you’re not especially fond of black cherry, HERO fruit spread also carries raspberry, red currant, black currant, and bitter orange. You can find all of these in the jam aisles of your local ShopRite, Stop&Shop, and other leading retailers. You could easily swap them out and no one will know the difference and all of the spreads are great quality! After all, this fruit spread recipe, that heavily draws on the Swiss tradition, has been unchanged for 120 years. A recipe that’s been around that long without needing a tweak has to be amazing! So I just realized that some people may be wondering what in the world is the difference between jam and fruit spread. Okay, so fruit spread is a jam with a higher fruit content. Jam is just fruit, pectin, and sugar cooked down until it is broken down and can form a blob. The more fruit, the better in my book. Bring on that fruit flavor! HERO’s family-owned company has also taken great care to gently preserve their fruit spread. There’s no high-fructose corn syrup, artificial flavors, colors, or preservatives. These are all reasons why even professional chefs prefer it. Seriously, this is the perfect cake to share with all of your friends and loved ones. It feels so amazing to share especially with things that make us feel happy. 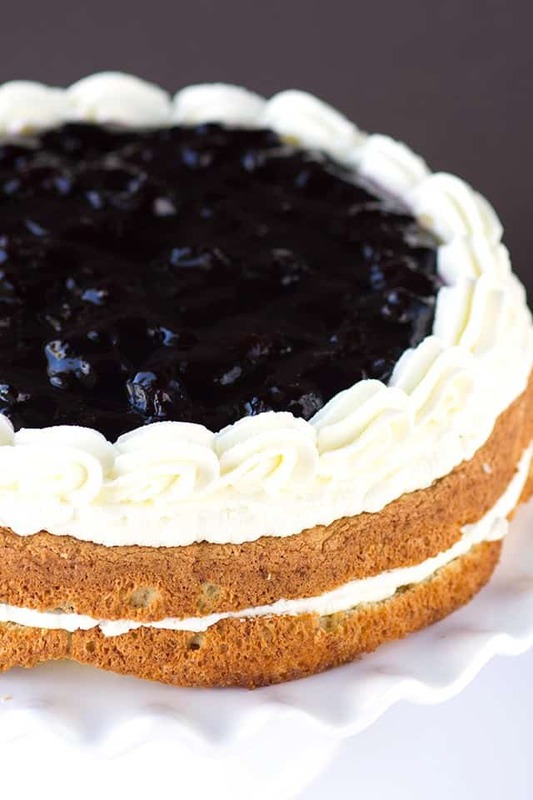 Then there’s the fact that this cake tastes like a slice of heaven. My favorite thing about this cake was the fruit spread and whipped cream together. 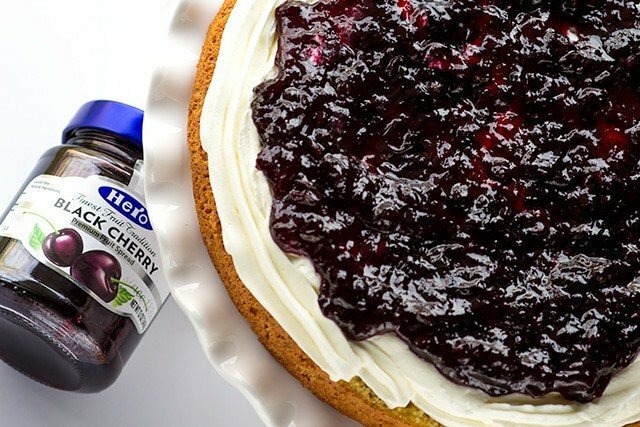 The black cherry fruit spread has a rich taste, robust texture, and less sweet that pairs with the whipped cream. It’s cream pie, but better because there’s cake in there! I love sharing, but the holidays make me feel extremely generous. Does anyone else get that way? For me I think it’s just the overall cheer that I associate with the holiday and the Christmas music. I find myself offering up whatever I can think of to be helpful. It feels good to spread joy. We never really know what others are dealing with and the smallest hint of generosity could change someone’s entire day. Plus, now you have this recipe to arm yourself with this holiday season. It’s a fact. This can improve everyone’s day, it’s that delicious. Speaking of sharing, HERO is also spreading the goodness. The company donated over $32,000 in 2016 to Feed The Children in order to help families in need. Just one more reason to love this brand. Okay, so the cake can get a little messy. Give the cake time to set up. I rushed my cake slicing, because I was excited. It could probably have used 30 minutes in the freezer or a couple hours in the fridge. Oh well, no one really cares other than a food blogger who photographs food, right? Line the bottom of a 10 inch pan with parchment paper. You can trace out the perfect circle by using the bottom of the pan. Be sure to flip the side with the ink or pencil away from the cake batter. Spray the parchment paper and sides of the pan with non-stick cooking spray. In a large mixing bowl, add in the egg whites. Beat on high until soft peaks form. Add in 1/4 cup of granulated sugar while beating the whites. Beat until the egg whites/meringue is stiff. Set aside. In a separate mixing bowl, add in the egg yolks, 1/2 cup of sugar and 1 teaspoon of vanilla extract. Beat on high until the yolks become pale and thick. It will take about 1 - 2 minutes. Add the graham cracker crumbs, flour, and almond flour into the yolks. Beat until incorporated. Add a third of the egg whites/meringue mixture into the yolks. Fold in until combined. Add another third of the egg whites and gently fold until combined. Each time the yolk mixture will get lighter and lighter. Add the last of the egg whites and gently fold in. Pour the batter into the prepared pan. Gently spread the batter evenly into the pan. Place into the preheated oven and bake for 28 - 30 minutes or until done. Place a toothpick into the center of the cake and if it comes out clean, it's ready! Turn out onto a cooling rack and let cool completely. Add the 2 cups of heavy cream into a cold metal bowl. Beat on high until soft peaks form. Add in the 2 tablespoons of sugar and 1 teaspoon of vanilla extract. Continue to beat until stiff peaks form. Cut the cake in half. I run the knife along the outside of the cake and go all the way around only cutting in about 1/2 an inch. Once it's all level, start cutting deeper using your previously cut lines for guides. That will give you a nice even layer. Add the first layer of cake onto a cake plate. Add the whipped cream into a disposable piping bag with a large round tip. Pipe the whipped cream in circles covering the entire layer of cake. Spread one 12 oz. jar of black cherry fruit spread on top of the whipped cream. Use a light hand to avoid squishing out all of the whipped cream. Repeat adding the whipped cream. If there's any left, change the large round tip for a 1M and pipe shells along the outside of the cake. Add the last 12 oz. jar of black cherry fruit spread to the top. Carefully spread it out. Place the cake into the fridge to set up. Try about 1 - 2 hours. This is only necessary if you want to have cleaner cuts. If you're not concerned, cut immediately. 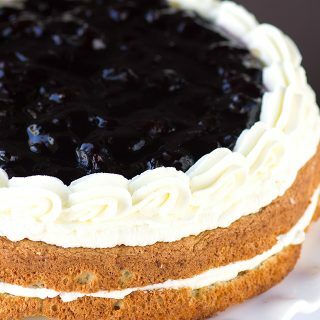 The whipped cream will start to break down so I recommend eating the cake within a day. Hero Fruit Spread can be found in the jam aisle of; Shop Rite, Stop&Shop, King Kullen, ACME, Kings, Balducci’s, Fairway and other leading retailers. oh wow! I keep hearing about “piecakeen” this time of year, and it always sounds so hard. But you’ve totally acomplished the same thing here, with a fraction of the effort. Lovin the short ingredient list. I’m glad you’re working with such a generous company!